this is for our Grans challenge this month. The papers and embellishments were sent to us by Sharon in a kit. We were to use the doll, papers, and at least some of the embellies. 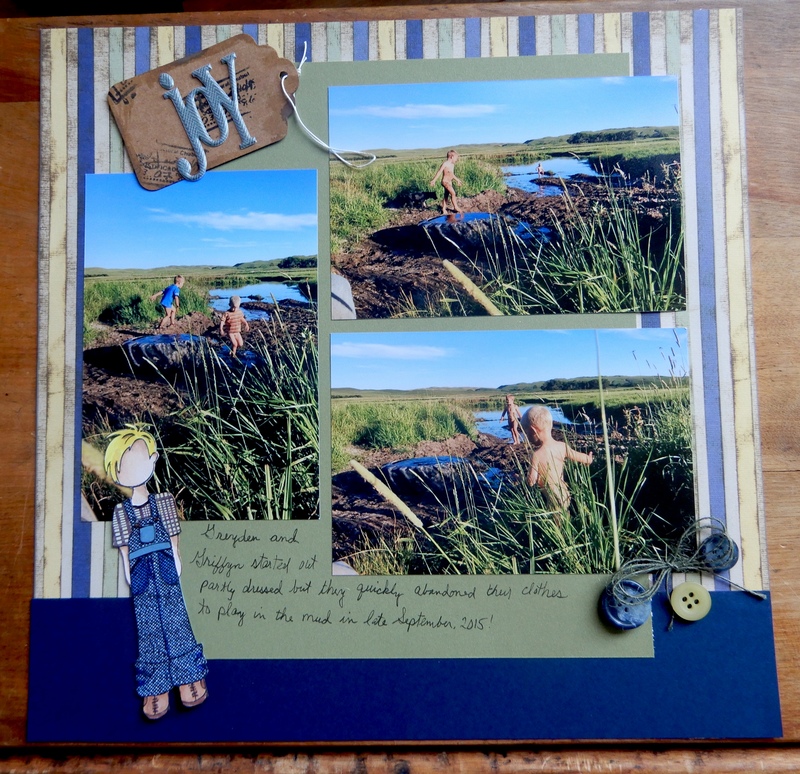 I loved what she sent and had a great time doing this page of my grandsons playing in the mud! What a life! They will look back on this layout about them and have all kinds of good memories and a few laughs. You used the kits in an awesome way!! SO CUTE. I love the pictures and I love the things Sharon sent. Great job! The boy doll goes so well with the rest of the layout! What fun they are having and nice they took off their clothes so they do not get them muddy! Love the tag with the title! The boy doll is super cute. You did a great job with the challenge kit!! LOL love it all!!!! The photos are priceless!! My Grayson would so live to be right in there with the boys!! you have done a marvelous job on with the papers!!! They look fabulous with you design!! It turned out great! All the colors go together so well with the photos.